Everyone has their own individual taste in interior design, and I seem to change mine every term. One minute i'm loving retro looks with bright colours and crazy patterns, next I'm liking a classic look with rich whites and golds. I have noticed many are going for the plain fresh white wall look, and actually adding their style through furniture and accessories such as mirrors, candles and flowers. 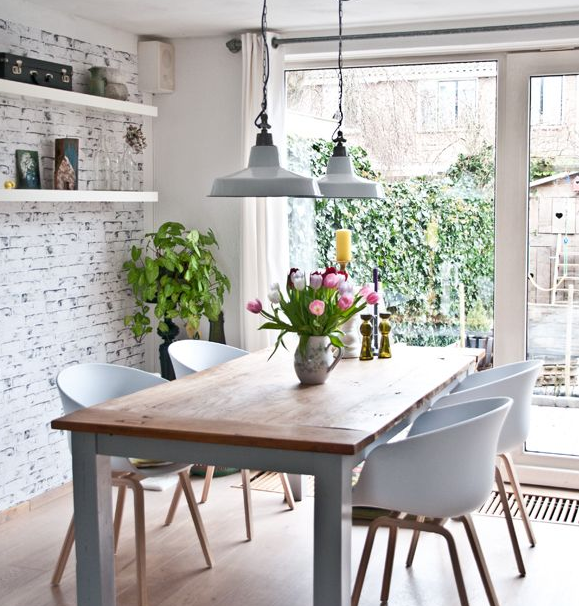 Feature walls and four wall wallpaper is no longer in trend, and people are instead shopping around for whats going in the room rather than on the walls/floor. If your room suddenly needs a rug, a mirror, or a centre piece coffee table but you don’t know where to start, knowing what your style is can nudge you in the right direction to find the items that fits your space and your taste. In this post I am going to be talking about the rustic interior style and how to get the rough looking barn look but with a modern touch. A lot of people have been opting for the rustic style lately, bringing outdoor materials such as wood and metal indoors. 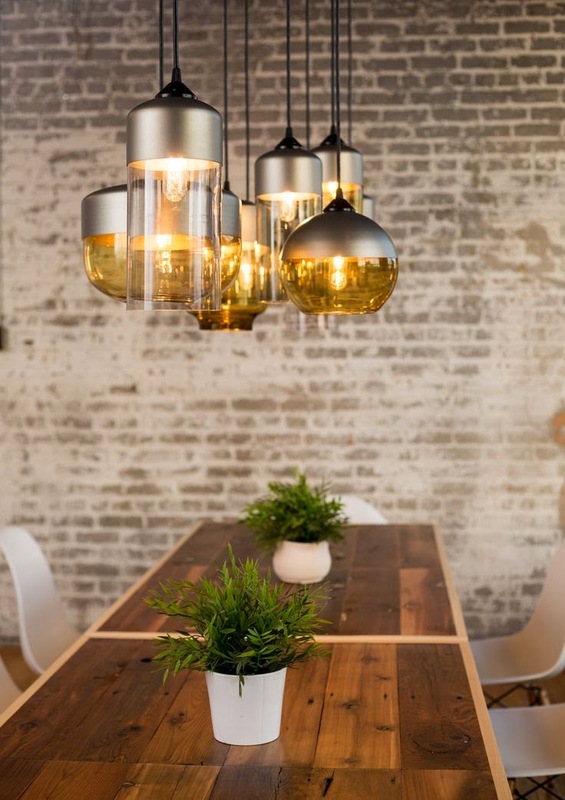 If you like rugged edges, rough details and the idea of nature, then rustic interior is for you. 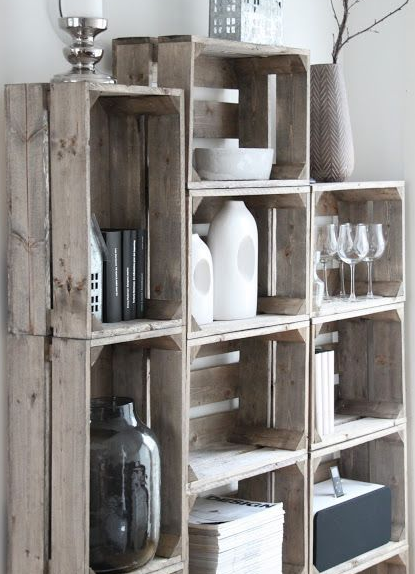 A current trend which is very popular right now is using old palettes to create rustic furniture. A rustic interior reminiscent's an old barn with a modern touch. Wood furniture would retain all the uniqueness of the tree trunk that it came from; rings, knobs, and imperfections would be embraced and highlighted through the finish. 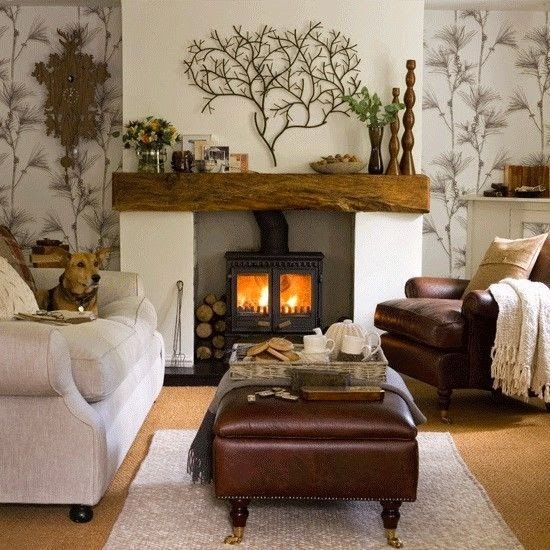 Natural-looking stone is commonly used for fireplaces in a rustic style and polished logs are a perfect wall feature too. Old logs are easy to pick up to create these features and simple to nail together to create strength. 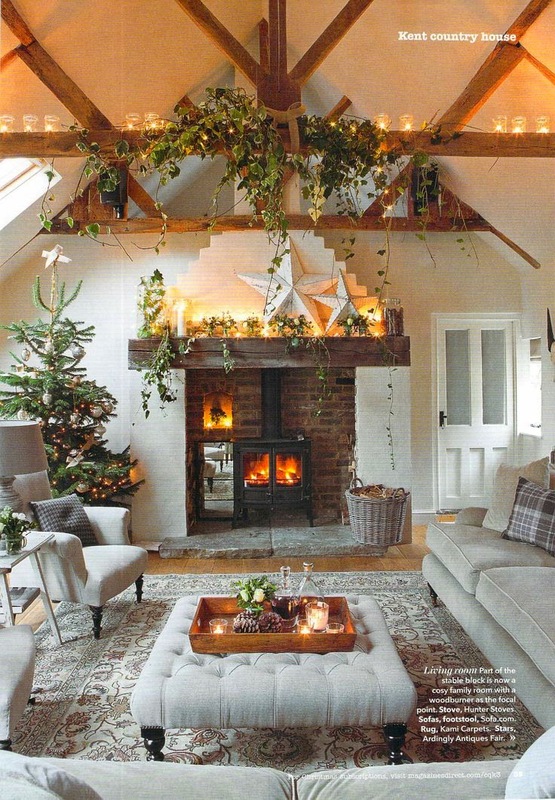 One idea which I am very keen on using myself, is buying an old beam and using it on the fireplace. The wood decor is my absolute favourite right now, beams bricks and logs go perfectly together with white decor and green plants. This style brightens up any room and creates a fresh an unique feel. 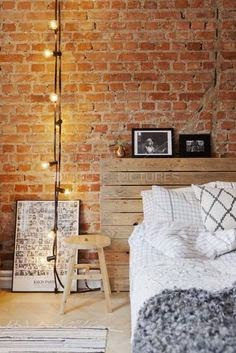 I absolutely love how people are using old palettes as bed headboards. This is such a simple yet effective idea! 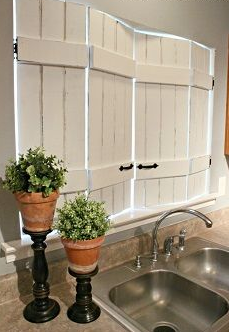 Palettes are also used in the image with the barn style window to make wood blinds. 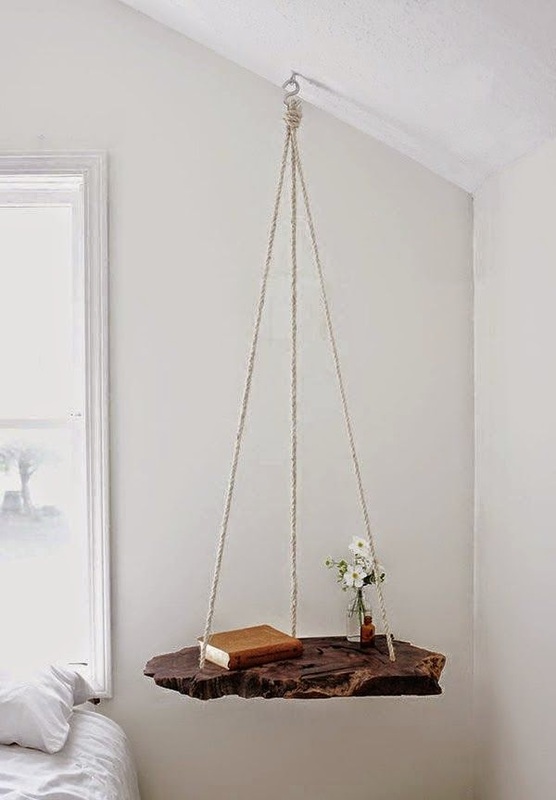 The log bed table is my ultimate favourite handing from the ceiling. This is simply cut from a large log, and made to hang. 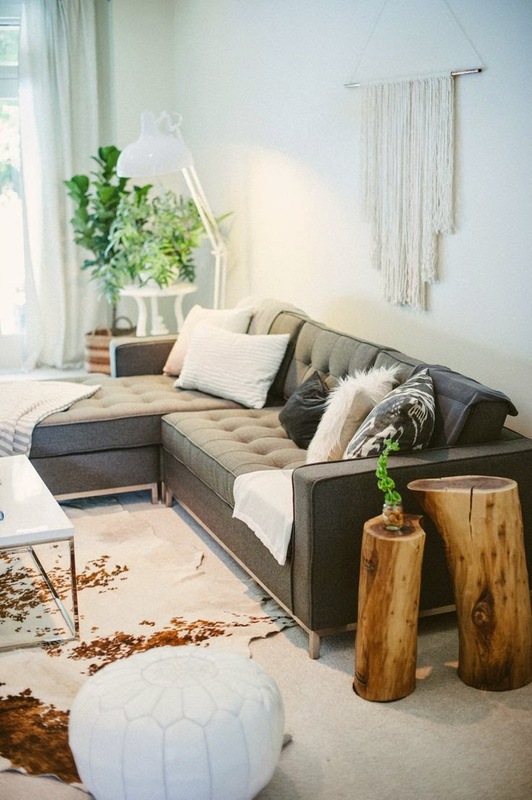 The logs used as side tables in the living room is also so effective and of course cheap too! Are you a fan of the rustic style? Any tips or posts on use of outdoor materials you'd like to share? On the off chance that every one of your companions see dark yet you can see a blue-dark with clues of green, at that point you certainly have a decent eye for shading. The secret to extremely observing shading is having the capacity to see a shading's feelings. 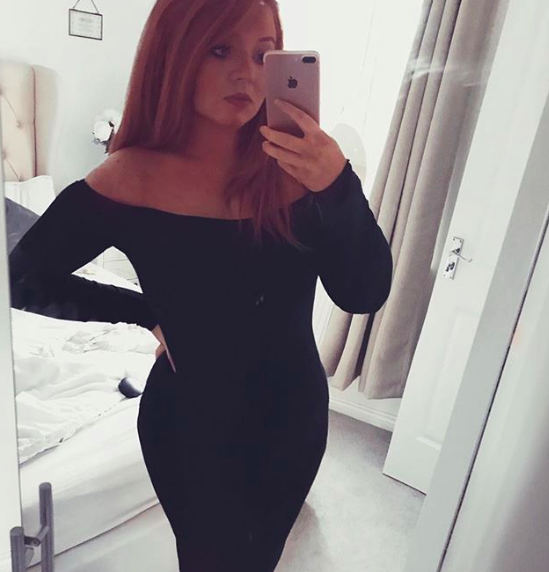 In the event that you have aced this, or this falls into place without a hitch for you, it will be an extraordinary advantage to you as a future decorator.